Amid criticism about cultural appropriation and representation, Seattle Opera takes different tack with Puccini’s popular work. The buzz around Seattle Opera’s production of Giacomo Puccini’s “Madame Butterfly,” which opens at McCaw Hall on Saturday night (Aug. 5) for a double-cast run, is not only about the opera’s beautiful music or the fastidious attention to historic visual details and elaborate, authentic costumes. It also arises from a culture-shifting conversation in which Seattle’s Asian-American community has decried the racist stereotypes and cultural appropriation at the core of the opera. Rather than shying away from the controversy, Seattle Opera has made an effort to foster dialogue around the issues. The company has not confined its response to discussion alone. Well before Australian director Kate Cherry arrived in town, Seattle Opera General Director Aidan Lang insisted on reinstating two sections of controversial dialogue that Puccini excised from the opera after its disappointing premiere necessitated major revisions. The restorations underscore the power imbalance between Japanese and American cultures at the heart of the doomed love affair between a young Japanese woman (Cio-Cio San, aka Madame Butterfly) and an American Navy lieutenant (B.F. Pinkerton). By Giacomo Puccini. Aug. 5-19, Seattle Opera, McCaw Hall, Seattle; tickets from $65 (206-389-7676 or seattleopera.org). In addition, Seattle Opera will refrain from attempting to make the opening-night Butterfly, renowned Armenian soprano Lianna Haroutounian, look Asian, a practice referred to as “yellowface” by critics. This is a nonissue with the second-cast Butterfly, Japanese soprano Yasko Sato, who makes her U.S. debut after performing Cio-Cio San in Japan and Italy. Sato has published a book in Japan, “Madama Butterfly: Evolution of a Woman,” that analyzes the character through the various revisions of the opera. Given that Sato comes from a society in which Asians are in the majority, she examines Puccini’s intentions from a different perspective than that of Asian Americans who are in the minority. Finally, Seattle Opera will emphasize in the program book that 15-year-old Cio-Cio San could not have been a geisha. According to Gabrielle Kazuko Nomura Gainor, Seattle Opera’s media-relations manager who is also a dancer, storyteller and board member of the Seattle Japanese American Citizens League (JACL) — America’s oldest and largest Asian-American civil-rights organization — a geisha is more like an opera singer or a ballerina, a role that would not go to an untrained young girl. In other words, Puccini and his librettists engaged in an act of cultural appropriation. 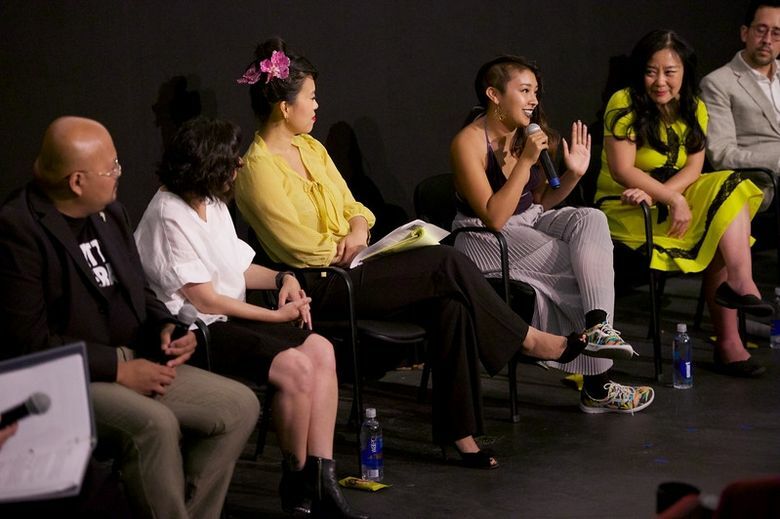 The ramifications of their prejudices were explored in depth last month when Seattle Opera hosted a public discussion with eight Asian-American artists, “Asian Arts Leaders Respond to Madame Butterfly,” moderated by producer, director and writer Frank Abe. Gainor helped Barbara Lynne Jamison, director of education and community engagement at Seattle Opera, and Kathy Hsieh, an actor and director who oversees the racial equity programs of the city of Seattle’s Office of Arts & Culture, develop the event. There are multiple reasons why many Asian Americans decry the opera’s heartbreaking outcome. Although director Cherry and production designer Christina Smith’s production of “Madame Butterfly,” complete with traditional costumes and staging inspired by Japanese theater, premiered in New Zealand in 2013, well before Seattle’s community conversation took place, Cherry is sensitive to its problematic nature. Nonetheless, she insists that she is primarily a storyteller and is determined to “doing the best storytelling I can, finding complexity of emotions and truth in the acting, and creating a visual feast. Gainor and other members of the Asian-American community believe the problems with “Madame Butterfly” stem from far more than ignorance. “It’s not just the fact that it’s white singers playing Japanese characters,” Gainor said. “It’s not just the fact that Cio-Cio San represents a very tired stereotype about Asian women, or that this work is constantly reinterpreted again and again, typically by a white or European director. It’s also a larger conversation about racial equity in opera. Gainor’s criticism, which is shared by Abe and other panel members, is rooted in startling statistics. Despite the fact that half of Hollywood box office proceeds come from outside the U.S., and more than half the world is Asian, Asian Americans got only 5 percent of the speaking roles in film, TV and other mass media in a recent study by the University of Southern California. And while the Asian population in the New York City area is 15 percent to 20 percent, an average of only 4 percent of actors on stage from 2006 to 2015 were Asian, jumping up to 9 percent when “The King and I” ran in 2014-2105, according to the Asian-American Performers Action Coalition. Meanwhile, in the Pacific Northwest, while 18 percent of the Greater Seattle area population is Asian/Asian Pacific Islander, those populations get only 2 percent to 4 percent of roles, according to calculations done by Seattle playwright Roger Tang, who took part in the Seattle Opera panel, using data provided by Theatre Puget Sound. During Seattle Opera’s run of “Madame Butterfly,” a lobby exhibit will explore “The Butterfly Effect” and the history of Asians in America. It addresses stereotypical treatment of Asians in movies (Mickey Rooney’s caricature as Mr. I.Y. Yunioshi in “Breakfast at Tiffany’s”), and on TV (“Battlestar Galactica”) and Broadway (“South Pacific” and “Miss Saigon”). An even more extensive lobby experience was an essential part of Seattle Opera’s 2015 performance of Jack Perla and Jessica Murphy Moo’s “An American Dream,” which Seattle Opera is reprising at Washington Hall on Sept. 7-17. The intentional proximity of “Madame Butterfly” to an opera depicting the incarceration of a Japanese-American family in the 1940s is aimed at providing a second perspective for audiences. It is in this charged context that Seattle Opera’s production will unfold. Given the community criticism and the changes it has inspired, audiences may experience this “Madame Butterfly” in ways never envisioned by its creators. This article, originally published August 2, 2017, was corrected August 4, 2017. 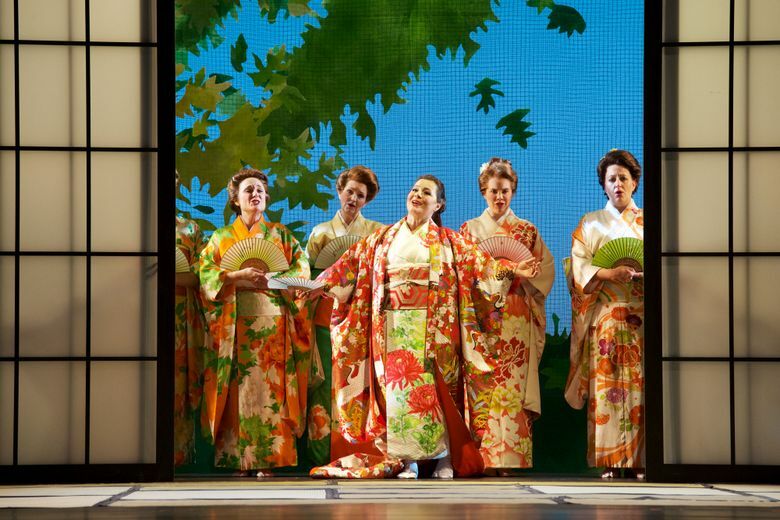 A previous version of this story used a photo of Australian soprano Antoinette Halloran performing in the New Zealand Opera 2013 production of “Madame Butterfly,” incorrectly labeled as an image from the Seattle Opera production.